It’s a pain most sales managers feel on a regular basis. You’ve finally pulled together a team that you feel is working well, and then suddenly, one or more of your team puts in their notice. Sales is a tough job, and it’s difficult to attract top talent (or to train it up from within). Even more frustrating, the resources you invest in training new salespeople turn into waste for your company once they leave, taking that training to a new company. Whether you’re trying to make your sales system into a Lean one or not, that’s still a significant amount of wasted time and money sunk into people that are going to leave. 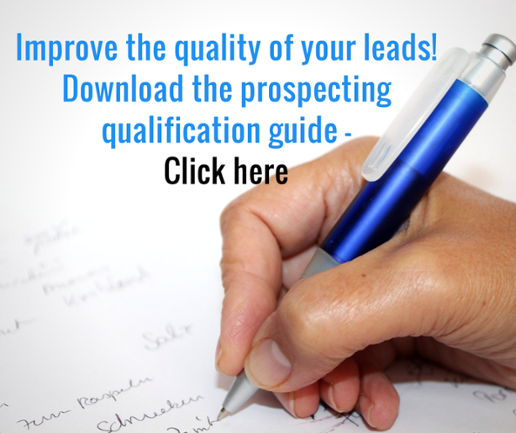 Make your sales team happier by making prospecting easier – click here for a free lead qualification checklist that will improve the quality of your leads (and the job happiness of your team)! So how do you stave off the turnover? 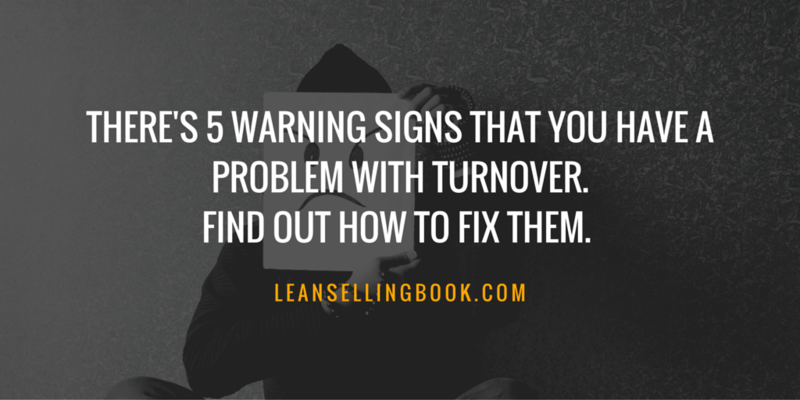 According to Gallup, there are 5 predictors of turnover that are clear warning signals. 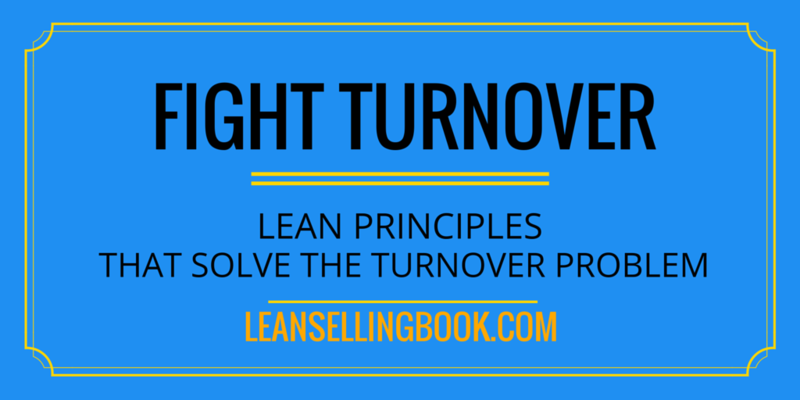 There’s also several ways to combat these turnover warning signs—primarily by incorporating some Lean Thinking into your sales system. 1: The immediate manager: When your employees don’t feel their manager provides adequate support, resources, or opportunities for progress, you’re far more likely to see a high turnover rate. Gallup notes that exit interviews where employees describe the office environment as “poisonous”, or that their work is “miserable” is a huge red flag that you’re going to see a significant amount of turnover – if you aren’t already. Solution: Incorporate consensus decision making with your team. Make it mandatory, and use it as a way to open up communication between your ground-level salespeople and the management above them. Read more about consensus decision making in our blog specifically about boosting employee engagement. 2: Poor fit to the job: Understandably, employees are more likely to leave when they feel they aren’t well suited to the job at hand. This can come from a disjointed process or lack of sales process at all, from other sales reps being less than helpful (to protect their own relative performance), or from never actually landing a sale from the leads they’re provided. They may feel like they’re performing terribly, and see no opportunity to improve. Solution: Depending on why your employees feel they aren’t a fit for the job, there are several ways to approach this particular problem. If your hiring department is sending you new hires that are a poor fit, perhaps they need to implement a more restrictive qualification process on their end. Aspects that you can control in your department, however, include ensuring your sales process is clearly outlined, and that your entire department sticks to it. Having an effective sales process in place that the entire team uses helps new hires see that it does It provides the framework they often need to begin performing well. A Lean Selling process also provides excellent feedback to the salespeople, enabling them to see where and how they can improve—helping eliminate that hopeless feeling of never seeing their performance get better. 3: Coworkers Not Committed to Quality: When one employee feels that he or she is the only one committed to a high quality of work they are more likely to quit. This could be in areas such as closing sales, finding and nurturing new leads, etc. No one wants to be surrounded by coworkers who don’t seem to care. Solution: The Lean Thinking concept of Leveling can be a major help here, preventing one salesperson from becoming the person carrying the entire team. It also keeps everyone on the sales team consistently busy and consistently earning. Combined with Error Proofing, even disengaged team members have to pull their weight, which can lead to a “good” type of turnover—where the disengaged, poor performing members of your team leave so that they can be lazy in a different job. Sifting out the unmotivated and poor performers may feel difficult in the short term while you hire and train new staff. But your top performers will welcome the opportunity to work with other motivated and driven employees. 4: Pay and Benefits: This becomes doubly important when employees feel that others on their team aren’t committed to quality. The employees who feel they’re working harder than everyone else will naturally feel more entitled to higher compensation or better benefits, and if they don’t get them—they’ll leave. Solution: Refer to the previous solution to ensure that no single person on the team feels as though they’re carrying the weight of your entire department. You can’t buy loyalty or employee engagement, and if pay is the only way you’re able to keep your employees around, you may have much larger organizational problems to handle. 5: Connection to the organization and to senior management: When your employees don’t feel connected or engaged with upper management or to the company’s purpose, they are far, far more likely to seek employment elsewhere. Solution: The solution here is Go See For Yourself. Actually walk out on your sales floor and see how the managers are handling the employees. Don’t just ask your sales managers how their efforts with consensus decision making are working—ask for hard data, or sit in on one of the meetings for yourself. This solution should be applied to every single one of these potential causes for turnover. Think about it. How often does a company CEO or a senior executive physically go out to the sales department and listen to what’s happening? How often do they talk to customers, or suppliers, to hear first-hand how they view your organization? One of the simplest (and most cost effective) ways to fight turnover is to get your sales teams more involved in the sales process. I’ve written about it before—when they have a direct impact on how the sales process is run, employees feel ownership of the process. This increases adoption, makes implementation easier and faster, and makes up for any additional time spent in reaching a consensus up front.